OOI Deep Ocean Observing Workshop Participants. The interdisciplinary forum brought together researchers with interest or expertise in deep ocean observation, including early career and experienced deep-ocean observing scientists from multiple disciplines, OOI scientists, NSF program managers, the Deep Ocean Observing Strategy (DOOS) Steering Committee, and other local stakeholders. The diversity of participants facilitated discussions of not only fundamental questions about the deep ocean but also how to use observatory data for hazard alerts and resource management strategies. 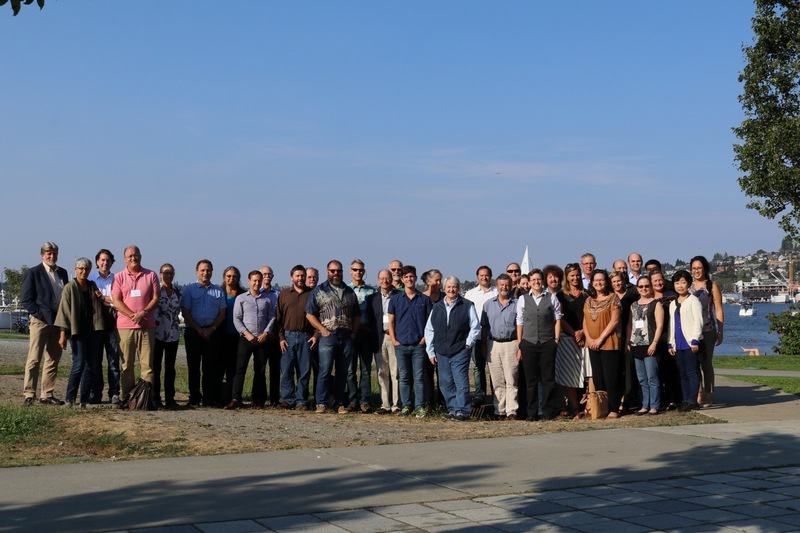 The goal of the workshop was to expand and connect the deep-ocean user community toward developing realistic proposals and hypotheses to carry forward deep ocean observations on the OOI Cabled Array and in the broader NE Pacific. The workshop comprised three main features: informational presentations about NE Pacific assets, DOOS science questions, and EOVs relevant to the deep ocean; lightning talks by the participants about their individual research pursuits; and small working groups. Much of the workshop was spent in small working groups as participants explored areas of common interest. This breakout group work resulted in framing four topics—operational products, the connection of vents and seeps to ocean processes, cross-shelf exchange, and benthopelagic coupling. More details about these working groups can be found in the workshop report. 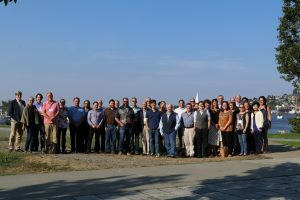 The workshop highlighted that within the deep ocean observing community, the OOI can provide a critical resource in helping to ask questions at scales and across disciplines in ways not previously available. Whether near-real-time hypoxia alerts, benthopelagic couple from seafloor to the air-sea interface, across and along shelf transport, and microbes to megafauna connections from the subseafloor through the water column. More information, including the workshop report and presentations can be found here.